A higher expectation to be happy for the holidays begins earlier every year and runs rampant through the Western Holiday Season. It’s a lot of pressure. With the prescribed annual cheer come the stresses of obligatory family engagements, retail shopping madness, and an almost embarrassing amount of sugary calorie consumption. Everyone wants to be happy, and there are as many ways to get there as people. If the swiftly-approaching holidays have you overwhelmed by the idea of getting and staying happy: Relax. Breathe. You’re not alone. “Well-being is just like ‘weather’… in its structure: no single measure defines it…but several things contribute to it,” says the founder of Positive Psychology and author of Flourish: A Visionary New Understanding of Happiness and Well-Being, Martin E. P. Seligman. Breaking down a large, ambiguous goal of “Happiness” into smaller, more manageable actions can help anybody to create well-being. These To-Do’s can be practiced one at a time, all at once, or set aside for later use, after the pumpkin pie tin has been licked clean. When and where you start is exactly the right time and place. Yes, it’s a high ideal, but as Mahatma Gandhi said, “Be the change you wish to see in the world.” Here are some actions toward getting and staying “Happy,” for the holidays and beyond. DO Gratitude. Begin a daily Gratitude List. Hey, Oprah does it! A cheap notepad and pen can do the trick, or make a pact with a friend to text a daily list of 3 things for which each of you are grateful. If you have such a friend, there’s at least one item on the gratitude list to check off! If that fuels the desire to express more Gratitude, take time to thank someone, or a group of people, who helped you during the year. Write a Thank You card or say it face-to-face, if appropriate. Maybe choose someone you think doesn’t hear “Thank You” very often–a spouse, sibling, cousin, the apartment complex maintenance crew, or the janitorial staff at work or school. This practice will have you thanking yourself. their consent! Respecting others’ personal space will make you friends and possibly keep you out of a holding cell–ask first, please! Researchers have discovered that hugs flood our bodies with Serotonin, Oxytocin, and Endorphins–the “happy hormones.” Another simple, less touchy, way to experience a reduction of stress hormones is to smile. 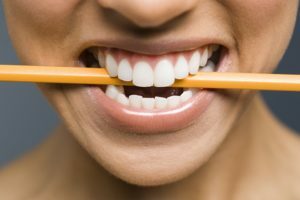 Genuine or created by a pen held horizontally between the teeth, our bodies respond the same way with “a rise in feel-good brain chemicals…and lower blood pressure,” according to bestselling author Lisa Collier Cool. No matter what time of year, a smile is like a hug for your face! DO Ask for Help. No one can know everything, nor does any person do everything by themselves. When we ask for help, it gives another person an opportunity to be of service, which “can brighten someone else’s day,” says Pat Lynch, Ph.D., President of Business Alignment Strategies, Inc. Especially during the holidays, we take on too many projects, tasks or responsibilities. It’s time to acknowledge that we’re all bound by a 24-hour day, and allow ourselves to have limits. 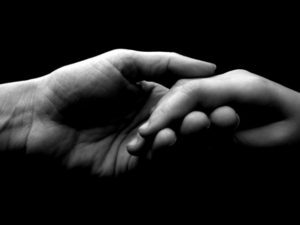 The two-step process is simple and difficult: Ask for Help, then Receive it. After conquering the risk of asking, we have to let the person complete the task however they choose, and then say “thank you”–yes, Gratitude again–for their time and effort. DO Savor the Moments. And the pie. The hustle and bustle is so intense this time of year, everyone rushing around–presumably to be able to slow down and enjoy some later moment. But “the present moment is all you ever have,” reminds Eckhart Tolle, author of The Power of Now. Certain things can only be seen from October to December, like that one house with the beautiful decorations, a perfect crisp sunset, the mixture of family football cheers and post-meal snores, or that cashier, at the end of their 8-hour shift, who is still smiling at every single customer. When we pause to take pleasure in an ordinary moment, it becomes extraordinary. Similarly, you may find that one savored bite of pie tastes better than a whole piece, consumed quickly. faster than feeling one or a combination of these things. During the holidays, the need to practice Self-Care grows faster than a line on Black Friday! Some people struggle with this, fearing it makes them selfish. It doesn’t. As the saying goes, “We can’t give to others what we don’t have.” Between agreeing to entertain visitors, working overtime that removes you from friends and family, and enduring that third pack of aisle-blocking, carol-singing holiday cheerleaders–when all you needed was a bottle of cold remedy and a box of tissues–some healthy food, good rest, and time to yourself can prepare you for whatever is next. You know, New Year’s! Do Acceptance. “The first step toward change is awareness. The second step is acceptance,” says Dr. Nathaniel Branden. We (our brains) are wired for judgment leading to self-protection, which is why this may be the hardest practice of all. David Amodio, Ph.D., associate prof. of Psychology & Neural Science at NYU says, “[part of our brain] is snap-judgment central…at some point in time, these knee-jerk biases ensured our survival… and still kicks into high gear today, vigilantly detecting Us versus Them, treating Them as a threat.” Generally, people are nicer during the holidays but, let’s face it: groups act crazier than people! Shopping can be a prime-time spectacle of selfishness and human flaws; and some family gatherings make the mall feel like an island retreat! If you find yourself in a sea of people, buzzing themselves into a mob–over the last discounted sock caddy or the biggest turkey leg–try to simply observe, as if it were around you, but not inside. Even if, only once, you can think, “I accept the flaws of others. If I must interact, I will breathe and respond slowly, with Compassion, but I will not react. I acknowledge, accept and move on,” Do It! It may not change the behavior around you, but it can lower your blood pressure and make you sane enough to create more Us and less Them. to celebrate ANY holiday to share a meal with someone who is hungry, smile at a stranger, or give time to a family in need; and many families are in need beyond the holiday season. Dr. Brené Brown defines Connection as, “the energy that exists between people when they feel seen, heard, and valued; when they can give and receive without judgment; and when they derive sustenance and strength from the relationship.” Connection and Well-Being can begin at, and extend beyond, the holidays. Best of Luck. ‘Tis the Season!